The testnet is an alternative Bitcoin blockchain used for testing. Testnet coins are separate and distinct from actual bitcoins and they do not hold any value. This allows developers and users to experiment without worrying about losing actual bitcoins. 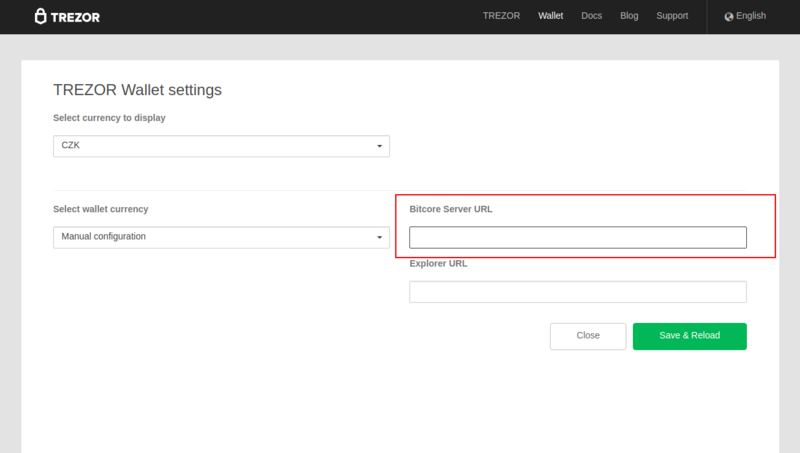 In order to start using Bitcoin testnet with Trezor, you need to run custom backend in Trezor Wallet. Go to wallet.trezor.io and connect your Trezor device. Open wallet settings. For more information, see Getting to know Trezor Wallet. Click on Save & Reload. Done. You are now using your Trezor with testnet. Continue using Trezor Wallet as you normally do with standard cryptocurrencies. A regression testing network (where coins are created instantly and are never traded to others outside the user’s network). Coins cannot be transferred between networks, which is why it is possible to use the Testnet as an environment for learning. Trading coins on the Testnet is the same process as trading them on the main network. Coins are generated by the mining. Users are sent Bitcoins by other users. The transaction is recorded in the blockchain, blocks of transactions are mined, and the process repeats. Testnet coins are given away for free to anyone who wants them from what is called "Faucet Websites". These websites are set up by users with extra Testnet coins. This page was last edited on 8 March 2019, at 19:57.